It's a regular menagerie featuring dogs of many breeds, cats, lions, tigers, and bears! 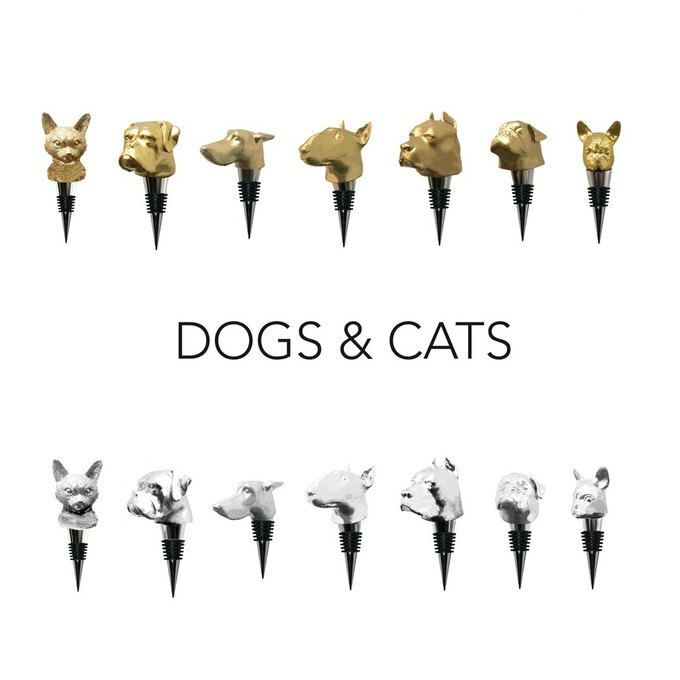 The folks over at Iron & Glory have launched a Kickstarter today in conjunction with a new line of products: animal-shaped bottle stoppers hand made right in their East Williamsburg studio. 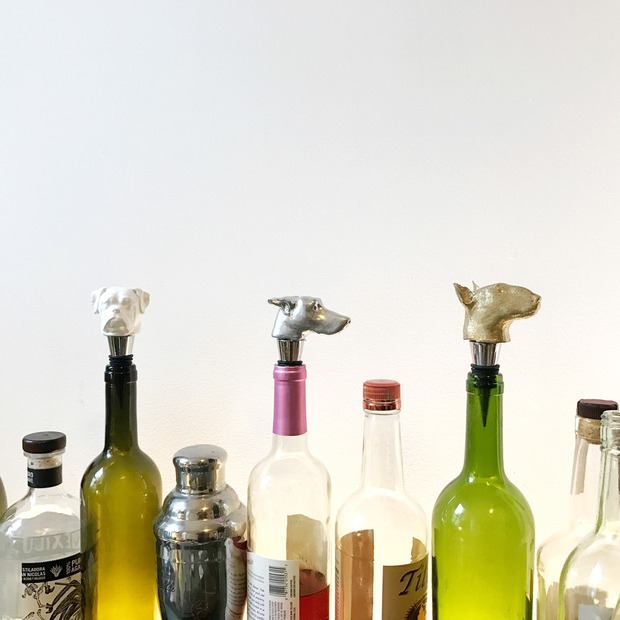 The last time Bushwick Daily caught up with them, they were expanding their line of giftable items and making enchanting octopus domino sets and skull bottle stoppers in addition to plenty of other rugged trinkets and tools. In fact, founder Richard Brandt says the "stoppers evolved from their first design [the skull] which we sell online and to stores across the USA, but I always felt their appeal was limited as a skull. I read somewhere that something like 75% of couples in their 30s have pets of some type and it was clear we needed dogs & cats to be a series." Brandt's goal is to raise $10,000 through the campaign and says that "while I&G sells to over 220 stores within the USA, the more success we meet, the harder it is to run a brand with rapidly growing expansion costs...Crowd funding has become one of the most viable means by which a small business can successfully raise money. It's like Amazon in the sense that it's become part of an undeniable landscape." If you want to support this local business, you can order a stopper for five dollars off retail for $25, choosing from a variety of shapes and finishes. 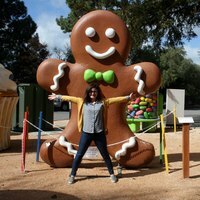 If everything goes according to plan, the stoppers will ship some time in June. 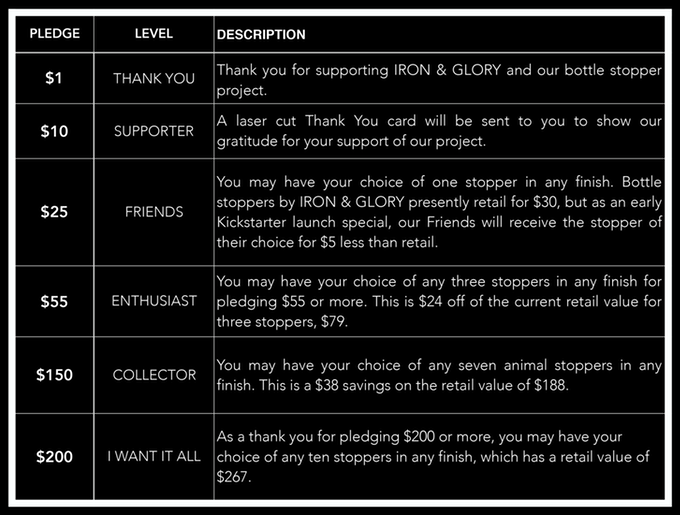 Iron & Glory's Kickstarter support levels. Brandt hints that there will certainly be more to come for Iron & Glory's ever-expanding line of products: "We have more bottle stopper designs and tools but we do want to leave some room for suspense." All photos courtesy of Iron & Glory.